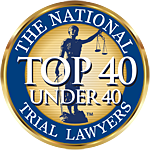 Misty Gasiorowski - Weycer, Kaplan, Pulaski & Zuber, P.C. Attorney - Weycer, Kaplan, Pulaski & Zuber, P.C. Volunteer placements include Child Advocates of Fort Bend, Houston Museum of Natural Science – Sugar Land, Lunches of Love, Gigi’s Playhouse, Reining Strength, and Fort Bend Children’s Discovery Center. Mrs. Gasiorowski’s practice is devoted primarily to business litigation. Misty Gasiorowski joined WKPZ as an associate in 2013. Prior to joining, she worked as an Associate in a well-respected Houston-based insurance defense and subrogation law firm. She also completed internships with the Honorable Judge David Hittner and with Congressman Henry Cuellar, and worked as a legal assistant for the Texas Department of Public Safety and as a public records researcher at a private investigation firm. Mrs. Gasiorowski has a genuine desire to help others and, at the office, works diligently to resolve her clients’ legal matters efficiently and cost-effectively. Since joining WKPZ, Mrs. Gasiorowski has gained extensive expertise and experience advising and representing creditors in their pursuit to collect business debts, including the preparation, perfection, and foreclosure of mineral and M&M liens, prejudgment legal remedies, suit on sworn account, and post-judgment enforcement. This includes, without limitation, advice to and the representation of homeowners and contractors to avoid and/or resolve construction disputes. Mrs. Gasiorowski has also assumed a niche of advising and representing property owners and lessees during their appeals of property tax valuations and/or exemption determinations, including the preparation and filing of suit, written discovery and depositions, settlement negotiations and mediation, trial, and appeal. Examined fact and expert witnesses to jury in civil trial in which our firm obtained $1.1M verdict on client's breach of contract claim and defended against a multimillion dollar tortious interference counterclaim. Assisted with legal briefing to defend the verdict on appeal. Judgment affirmed by the 14th Court of Appeals, and Petition for Review denied after additional legal briefing by the Texas Supreme Court. Examined fact and expert witnesses and made closing arguments to jury in a civil trial in which our firm successfully defended client against a tenant’s $1.8M claim for breach of a provision in the lease allowing a right of first refusal to purchase the property. Judgment affirmed on appeal. Represented commercial property owner in legal brief and during oral argument to the 1st Court of Appeals seeking reversal of the trial court’s granting of summary judgment in favor of the Harris County Appraisal District in relation to charitable tax exemption. Judgment initially reversed and remanded. On competing motions for rehearing, judgment was reversed and rendered in favor of client. Additional legal briefing was submitted and, based thereon, the Appraisal District’s Petition for Review was denied by the Texas Supreme Court. Defended client in legal brief and during oral argument to the 14th Court of Appeals seeking affirmation of the trial court’s granting of summary judgment on all claims against firm’s client related to statements made during an employer reference of a former employee to a prospective employer. Represented father in legal brief and during oral argument of ex-wife’s appeal to the 14th Court of Appeals seeking affirmation of the trial court’s judgment appointing client as permanent guardian of their son. Judgment affirmed on appeal. Performed legal research and writing for legal briefs during second rehearing of interlocutory appeal of two summary judgments related to the interpretation of terms of a settlement agreement. Judgments of the trial court affirmed. Obtained summary judgment for $260,000 on client’s breach of contract claim and dismissal of DTPA and related counterclaims. Obtained summary judgment in favor of firm’s client after proving breach of a lease by the tenant. Obtained summary judgment in favor of firm’s client based on the fact that the plaintiff had not used due diligence in serving our client and thus the statute of limitations had expired. Obtained summary judgment declaring roofing contract that client attempted to cancel as void and unenforceable, and awarding client reimbursement of his attorneys’ fees and court costs. Secured dismissal of $100,000+ lawsuit filed by former tenant as having no basis in law under TRCP 91a. Obtained a non-suit of all breach of contract, DTPA, and bad faith claims against firm’s client after conducting an informal investigation and obtaining sufficient proof to convince opposing counsel of his client’s dishonesty. Through proficient and effective pleadings submissions, successfully settled a 30,000 personal injury claim against client for 2,500 prior to a summary judgment hearing. Settled lawsuit for breach of contract on very favorable terms after obtaining summary judgment in favor of firm’s client on fraud claims valued at over $250,000. Settled a subcontractor’s affidavit of lien and claim for nonpayment in the amount of $290,742 against firm’s client for less than $80,000 at mediation. Settled a lawsuit against firm’s client in which an insurer, as subrogee of its insured, was seeking $69,397.28 for $8,000 after solely informal discovery and negotiations.